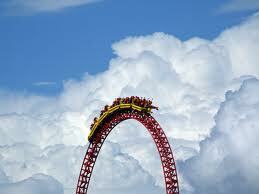 Your seatbelt is fastened, the ride is still, and you sit with anticipation. There is no turning back, and your mind races with a mix of anxiety and excitement. This frozen moment in time congeals calm and chaos. From a still frame shot, it’s hard to tell if the roller-coaster ride has just ended, or if it’s just about to begin, as the start gate and stop gate appear no different. To you, the rider, these two moments in time, are of stark comparison. Just over a year ago, I sat at the start gate, and prepared for an incredible roller coaster ride: A year at Thomas Haney Secondary, a self directed high school. I thought I was ready. I thought I had the courage, the curiosity, and the skill set to help lead in this high school environment. I was excited for the new challenge. But, just like the over zealous child, the first couple of twists and turns left me wide eyed and totally out of my comfort zone. I soon realized most of what I knew about education was – well – wrong – or at least not applicable. My first couple of weeks at Thomas Haney I had more questions than answers. Moving from a semestered high school to a linear self directed high school was a big adjustment. Many of the traditional norms that I was accustomed to seemed to disappear: fully scheduled classes, movement dictated by bells, teacher directed instruction, departmentalized schools, before and after school meetings, organized chaos. It was all gone. And at first – that seemed wrong. Certainly school, for the sake of being school, must conform to these basic assumptions. I looked for meetings – meetings that did not exist. I wondered how staff and students could collaborate and learn without structure… I didn’t see what I was looking for. The students seemed relaxed, the teachers appeared stress free, the days seemed to end earlier, the demands diminished. Something must be wrong. This is not how schools usually feel. Everything I knew failed me, and just like the child at the peak of the first hill, I began to wonder if I had made the right decision. Then, a crazy thing happened. I fell in love with the ride. Like a breathtaking view from the coaster peak, I too had a new view: a new view on eduction. A view you can only see when you ride the coaster and dare to re-imagine school as we know it. I realized I had been viewing the school from a traditional lens, looking for what was different. My intention dictated what I saw. When I found the courage to open my eyes and enjoy the ride, I found the magic: the magic of Thomas Haney. From traditional measures often used to assess schools, our school does well. Our students perform above provincial averages on exams, our graduation rates are in the high 90’s and our students win their fair share of awards and scholarships. However, that’s not the magic. The magic is not in where we arrive but how we get there. Before I explain the magic of our school let me first give a quick description of how it works. In our grade 8-12 school every student is part of a teacher advisory (TA) program that meets twice a day. Each teacher has a multi-grade TA of approximately 23 students. These TA’s become like families. Siblings are placed in the same TA, and each student gets to work with the same TA teacher for five years. On Monday mornings, they set weekly goals together and each day check in on learning plans and achievement. The TA is also the home away from home offering a safe environment, sense of community and solid friendships. We encourage students to BYOD (Bring your own device), and our teachers offer a blended learning model with face to face instruction blended with online resources. Our grade 8’s are fully scheduled for 5 blocks a day, Monday to Friday, with the only exception being Monday where the entire school participates in Y Block – a one hour tutorial of sorts where every teacher is available and students choose where to learn. By grade 9, students have been introduced to the self directed learning principles and they are handed one third of their time to choose where, when and what they work on. By grade 10, two thirds of their time becomes self directed and one third of their time is scheduled. To translate, for a student with 8 classes, each class is scheduled for one hour a week and that’s it. For the other 17 hours a week students align their passions with the learning outcomes and decide how to demonstrate their learning. They choose to work in open spaces called great halls where teachers are available to support learning. This flexibility also allows students to work from home, work part time jobs, participate in day time commitments for sports and activities, take time to travel, or choose to work ahead. In fact, many of our grade 8 students, choose to complete math 8 and 9 in one year by working ahead. Collaboration: Our teachers do not use the staff room. They could if they wanted to but their normal workspace lends itself to creativity, collaboration and friendship. Instead of using offices, one big open space called the teacher prep area allows teachers of all disciplines to sit side by side. For example, it’s not uncommon to have teachers from Drama, English, Math and Science all within ten feet of each other. Since teachers also have self directed schedules, they are only scheduled in traditional classrooms for 7 hours / week (grade 10-12). During the other 14 hours of scheduled time, they teach with other teachers in great hall spaces helping students of all grades. The meetings I was originally looking for do not need to exist as learning happens naturally as teachers continually collaborate, share ideas, and encourage each other to try new things. Our teachers are learners too. Events: In some schools, it’s difficult to coordinate school wide events. Teachers worry about scheduling, missed class time, set up and take down, etc. With our flexible schedule, we don’t instruct students or teachers to attend. Instead, when a cool event is happening such as the Haiku death match or Annual Egg drop we advertise in our daily announcements and invite anyone to attend. (Imagine the activity board at an all inclusive resort). The magic happens and hundreds of students and teachers show up on their own and learn together. Inquiry: Our school encourages students to discover and follow their passions. In grade 8 our teachers literally throw away the curriculum for one month and hand over all control inviting students to develop their own question of inquiry. They guide them through the inquiry process facilitating their learning. 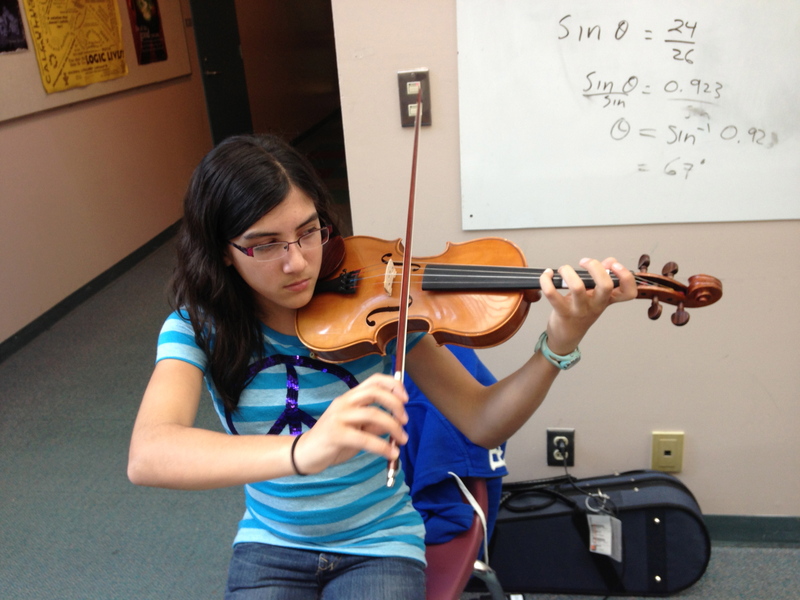 One month later magic happens: grade 8’s showcase what they have accomplished – mastering the violin, developing online video games, designing clothing, recording their own records, creating apps for smart phones etc. And long after the assessment is over most of them continue to explore their topics of interest. Working smarter not harder: Once our students link learning with their passions, they guide their learning process. Soon they figure out ways that one project can meet the learning outcomes of a variety of courses. It is not uncommon for students to find cross curricular connections where one project can meet the outcomes for 4 courses. For example, a grade 12 student recently explored her love for chocolate while earning credit for social justice (fair trade), foods (making chocolate), English (essay) and marketing (marketing plan). Real life, Real learning: our students have the flexility in their day to participate in real life projects, partnering with our local seniors home, volunteering in the community, helping the homeless reconnect with family, creating campaigns such as ‘Make BC Smile’ and most recently – interviewing for the new SD42 Superintendent. Test Centre: We believe testing should take place after learning has occurred, rather than on a set date and time determined by the teacher. When a student is ready to take a test, they have a conversation with their teacher to discuss their learning. If both parties feel the student is ready, they issue a test slip. The student then decides when to go to the test centre to write. Have a dance recital Tuesday night and won’t have time to review? No problem – choose the date that is best instead. Calm, safe environment: Our kids are not stressed compared to other schools. The flexible model and cross grade learning eliminates conflict and cliques. Our school board called mid-year to find out why we were not forwarding suspension letters. The answer was simple – because we had not had any. Our teachers have time to collaborate, plan great fieldtrips, think outside the box and be creative. The school culture celebrates learning and innovation and students and teachers are safe to take risks. When someone has a new idea, the answer is often ‘Why not?’. Together we try new things, learn together and have fun doing so. It’s hard to find a student or staff member that does not LOVE our school. Like the child who dares to try his first roller coaster, I have dared to see education re-imagined. For me, the ride is about to end, as I will be working at a new school next year. 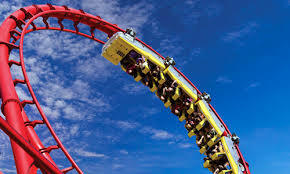 From a still frame shot, all will be the same when the coaster stops, yet, like the first time rider, I am not the same as I have leaned into fear, let go of control, and lived the experience. As I step away I will do so with a smile wide, knowing the secret of what education in the future may look like if we dare to disrupt the status quo. Although I wish the it had been longer, I am glad I had the chance to take the ride and discover the magic of self directed learning: the magic of Thomas Haney. Note: We invite the world to DisruptED 2014, hosted by Thomas Haney Secondary & the Canadian Coalition of Self Directed Learning. A conference recognizing the beauty that can occur when we dare to be different and shake up education. This past week I had the pleasure of traveling with ten staff members from Thomas Haney Secondary to attend the Canadian Coalition of Self Directed Learning (CCSDL) Conference. 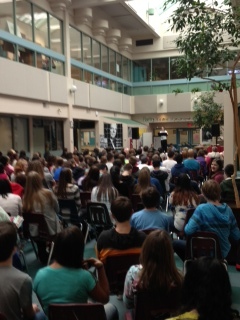 This year, the conference was held in Edmonton, Alberta and hosted by St. Joseph’s High School. Over four hundred educators across Canada gathered together to share best practices in self-directed learning and flex schooling (Alberta). It was one of the best education conferences I have attended as it offered a rich line up of presentations, a school tour showcasing self directed learning in action and a well thought out agenda that balanced professional development with time to socialize and network with others. The staff at St. Joseph’s did a phenomenal job organizing a first class conference with great attention to detail. Thomas Haney has been a part of the Canadian Coalition of Self Directed Learning since the coalition’s inception in 1996. The CCSDL was built with the idea that we are stronger when we work together and share ideas. Thomas Haney School is now in it’s 22nd year of self-directed learning. Attending the CCSDL conference each year allows our teachers to network with like-minded educators who are continually finding progressive ways to teach in a self directed system. This forward thinking model allows for personalization, creativity, and innovation. The three keynote speakers left us with ideas and inspired us to ask great questions. Lee Crocket, author of the 21st Century Fluency Project, introduced his Fluency 21 Unit Planner cloud-app where educators can collaborate and share unit plans. He spoke to the importance of a gradual responsibility shift so that graduates can finish high school well able to manage their lifelong learning. Garfield Gini-Newman, senior Lecturer at the University of Toronto and a senior national consultant with The Critical Thinking Consortium shared ideas on how to nurture self regulated critical thinkers. One idea that stuck for me was the notion of starting each unit with a question of inquiry instead of teaching and then asking questions. When students begin with a sense of wonder, their learning becomes more relevant. This helps our students develop a lifelong inquiry mindset. He also suggested students keep a thought book where they right down their initial thoughts and change their thoughts as they learn about a topic. This book then allows the teacher to offer ongoing feedback and to recognize the learning journey for each student. He suggested that teachers should move away from the stand and deliver instruction model, and even move away from the ‘guide on the side’ approach. To fully engage students, teachers should see themselves as choreographers helping all of their students in their own learning journeys. Maureen Suhendra, from the Khan Academy, spoke to how teachers can use the Khan Academy’s free educational resources in the classroom. The Khan Academy now offers over 4300 videos in their free online education platform. The Khan Academy is a great example of how education is changing, and how schools will need to meet the needs of a digital generation. While the keynotes were all wonderful, perhaps the richest experience occurred naturally over the four days as the nine teachers and two administrators from our school strengthened our connections with one another. With 11 of us travelling together, we represented ten teaching areas within our school and had a range of experience in self directed learning – some with over 20 years at Thomas Haney and others in their first year. A natural synergy occurred, where conversation flowed easily and we were constantly able to ask ‘what if? questions. We left the conference energized, inspired, and proud of where we are at as a school, but even more excited about where we are headed. With enthusiasm, we accepted the invitation to be the host school for the 2014 CCSDL Conference. Although we are in the initial planning stages, we know that we want to build on momentum and share educational practices that are engaging, creative and powerful. We want to hear from both students and teachers, whose names you may not know, but whose stories you will not forget. At next year’s conference we will showcase self directed learning but we will also extend our reach beyond the CCSDL, opening the invitation to any educator who is searching for ways to rejuvenate their teaching practice. We will showcase educators who dare to be different: the thinkers, the creators and the innovators who find ways for students to follow their passion while engaging in relevant learning experiences. We have decided to align the conference with the BC Provincial Pro-D Day. On October 23, 24, and 25th, 2014, we will welcome educators from across the country to come together to ask questions, and celebrate innovative practices that are re-shaping education. We are committed to our vision of hosting an amazing conference where educators can learn and grow together to help transform our schools to meet the needs of Canadian students. We hope to see you there! More information will follow as we unfold our plans for the Vancouver CCSDL Conference – 2014! My best friend Jen would make an excellent administrator. Why? She is a natural leader, excellent educator, committed to professional development and loves working with students and teachers. She is creative, fun and inspiring. There’s just one problem. She is not interested. Like many others, she doesn’t feel it is the job for her. Like others, she fears that a career in administration would reduce the amount of time she gets to spend with kids, and fill her days with problems to deal with. And I get it. If I rewind four years, when I first started thinking about administration I was in the same place. In fact, when I was offered an ‘acting admin’ position a couple years ago I accepted for one reason: I wanted to shake away the silly notion of applying that seemed to bubble inside me every time the posting appeared. The temporary ‘acting admin’ position would be enough to convince me it was not the job for me. Five months in, when I found out the acting admin position would be extended for the entire school year, my principal approached me and asked if I was going to apply to be an administrator. I said no. She then asked if I would like her find someone else to do the acting admin position for the second semester so I could return to my counselling position. I heard myself say no. She asked why. It was a fair question. In that moment I realized I had no explanation, and it was time to adjust my own belief, and recognize that I love the role of administration. She then asked if that meant I would put my name in for the admin pool. I said I would definitely think about it. She told me to think fast – the posting was to come out the next day. So here we are – three years later, and reflecting on my vice principal roles in two schools in two different districts, I have to say I love my job. Being an administrator is so much more than handling conflicts, managing diminishing budgets, listening to complaints and responding to student discipline. Fortunately I have had the opportunity to work with two outstanding principals, Mary O’Neill and Sean Nosek who both embrace the notion that school is not just about learning curriculum, but also about learning lessons in life. As an administrator, we get to experience so many positive and unique moments, where students and staff learn together. Yet, I wonder if we share these positive moments enough. By the number of people who have said “I would never want your job”, I’m thinking we do not. Statistically, when people are happy about something they tell 2-3 people and when they are unhappy they tell 10-15. What a different world we would live in if we could flip that statistic. The last few weeks have been full of amazing experiences. Here’s a quick glimpse at some of my favourite moments. They shed light on what administration is really like and why I love my job. Grade 8 Inquiry Project– a team of our grade 8 teachers dedicated the month of April to Inquiry Based Learning. For one month, they put curriculum aside and helped students develop their own questions for inquiry. The month long event culminated in a morning exhibition where students showcased their incredible projects ranging from the creation of video games, new all weather recycled clothing, and a violin performance by a student who had taught herself how to play. As a vice principal walking through the exhibition I was inspired by the excitement and passion that surfaced with these purposeful assignments. Students studied what mattered to them, and in doing so embraced their curiosity and sense of wonder. Many students were so engaged in their learning, they continued to study their topic after the project was over. Me to We Night – I was lucky enough to find myself on the invite list to an evening of conversation with ladies from Kenya who were visiting North America for the first time. Mama Monica and Mama Leah shared the stories of their lives, growing up in poverty with no education. Now, in coordination with Me to We, they teach others to make beautiful jewelry that is sold around the world. They now have 600 women working with them, and their lives have changed dramatically as they are able to send their children to school, provide for their families and feel an incredible sense of hope for the future. As we conversed in a waterfront condo at New Westmnister Quay I could not help but wonder if they felt resentment for all that we have. Instead, they spoke genuinely from the heart, finding similarities between us rather than differences. Together, as a group of educators we sang, laughed and celebrated the power that comes from working together. Miranda meets Robin. Miranda is a grade 11 student at Thomas Haney. She has already completed two Me to We Trips (to Ghana and Kenya) so I thought I would ask her some questions before visiting the ladies from Kenya. I mentioned that some lady named Robin would be there. Miranda’s face lit up as she asked if I meant Robin Wiszowaty, author or My Maasai Life. I said yes. It turns out Robin had played a key role in Miranda’s life. Miranda experienced many health issues as a child and had to undergo numerous surgeries. In an effort to mentally escape from the hospital, Miranda read Robin’s book. Miranda credits this book as her escape from reality, as she was able to experience Robin’s journey through Kenya and imagine herself there. Knowing Robin was going to to be at Me to We night, I made a few phone calls and we were able to invite Miranda to join us for the evening. She was able to spend time with Robin, bonding over their experiences. After the evening ended, Miranda tagged a photo of the event on Facebook, labelling it ‘one of the best nights of my life’. Heart Mind Conference. Last weekend I had the opportunity to attend an amazing conference at UBC focussed on mindfulness, the science behind happiness, and understanding how children thrive. Some of my favour presenters included Goldie Hawn, Paul Tough and Shawn Achor. I encourage Twitter users to search the hashtag #heartmind2013 to gain a glimpse into the conference take-aways on social-emotional learning. Personally, I love the science behind happiness and the discovery that only 10% of our happiness is impacted by external factors beyond our control. When we help students train their minds to experience happiness, we help them excel in school and life. One of my favourite take away suggestions was Shawn Achor’s telephone etiquette tip….. When you are on the phone and someone asks how you are doing, make sure the first three things you say are positive. Rather than whining about busy lifestyles, stress or negative moments, we can reshape our conversations and our own happiness if we focus on the positives. 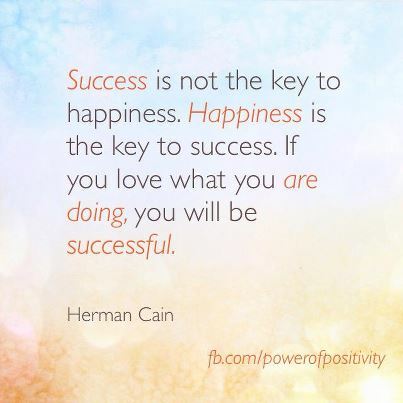 Happiness has a ripple effect…. Wouldn’t you look forward to phone calls if everyone you called shared their happiness before their concerns? Project HELLO – I am so grateful that the students and staff at Thomas Haney have allowed me the opportunity to bring Project HELLO with me to Maple Ridge. 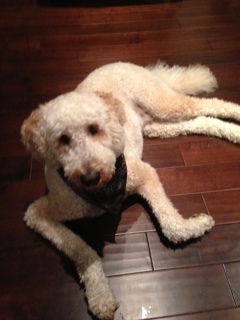 I am also grateful that the staff and students in Coquitlam have shown an interest to continue the project. Now we have two district working together where elementary students make Christmas and Mothers’ Day cards and high school students invite the homeless to send cards reconnecting with family. 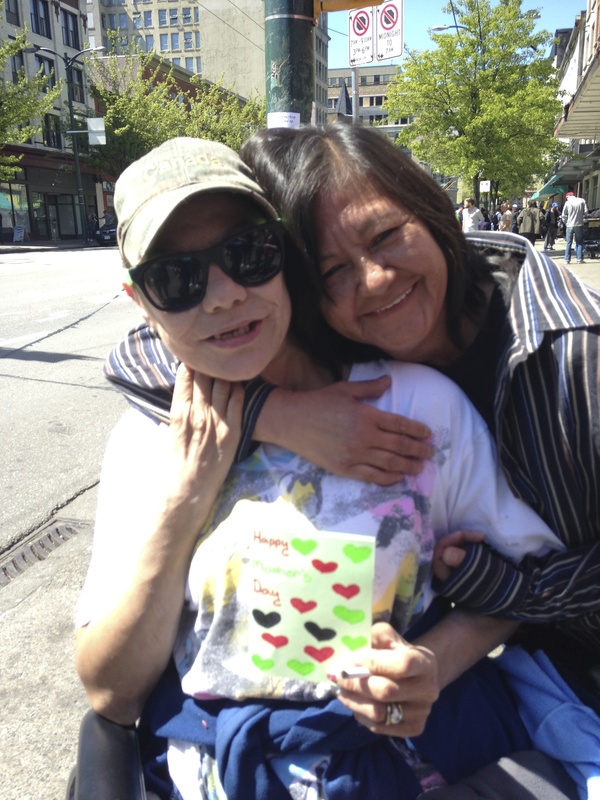 This Mothers’ Day students and staff from Charles Best and Thomas Haney spent the day together on the Downtown Eastside of Vancouver helping 42 people send cards to their moms. The students then made calls to search the country for mailing addresses, and successfully connected many families including a lady who had not heard from her sister in over twelve years. This year we spent part of the day with Save on Meats and Linwood House, learning how these wonderful organizations provide hope to people in this impoverished community. As an administrator, I love finding time to work with students on projects, committees and events. Sometimes our days get busy, but making time for these meaningful connections bring so much joy to the work we do. Professional learning community. As an administrator I am so grateful for the professional learning community that I am part of. Last Friday we hosted a team of student teachers just finishing their practicums. On Tuesday I spent the lunch hour with teachers sharing technology tips with one another. Over the past few weeks, we have welcomed educators to Thomas Haney from BC, the Yukon, and New Zealand. Next week we will welcome guests from Iceland. While these teams have travelled to Thomas Haney to learn about our self directed model, I find we gain just as much as we learn about education around the world. Who knew that Yukon follows the BC curriculum while also implementing a grade seven buffalo hunt? They described the challenges as grade sevens each have their own knives in the school gym for the buffalo skinning. Now that’s classroom management! 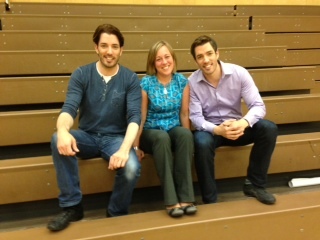 Property Brothers – Forming positive relationships with school alumni always builds culture, but when Drew and Jonathan Scott from the Property Brothers (alumni from Thomas Haney) happened to swing by for a visit it was pretty exciting. Especially when they mentioned they want to find ways to give back and connect with the school community inspiring others to follow their dreams. Yoga – With encouragement from some of our students, I decided to try one of our school’s yoga classes. Taught by Michelle Szakos, the class was challenging yet relaxing. What I loved best was the role the students played learning to teach yoga. Ms. Szakos combined her skills as an English teacher and yoga instructor to guide students through a rejuvenating visualization exercise. What a great way to start a day! I love that our kids have so many unique course offerings! Selin Jessa – Selin Jessa is a grade 12 student at Charles Best who has recently won close to $300 000 in scholarship offers for her fantastic work in the sciences and leadership. She visited Thomas Haney to share her passion with science students, inspiring others with stories of her trip to Antartica, and her work with graduate students on HIV. What I loved best was the way she ended her presentation. She compared science to politics and coined science as one of the few peaceful global projects where countries share and work together for positive change. Her message applied to all disciplines encouraging others to work together with peaceful intentions. Staplefest – You may wonder what this is…. Really, it’s one of those ‘seeing is believing’ type of things…. It took place in Maple Ridge on Friday where students from multiple schools join together to celebrate the stapler. From staple relays, choreographed stapler dances and stapler inspired music, students celebrate together finding the ‘significance in insignificant things’. I will never look at a stapler the same way.